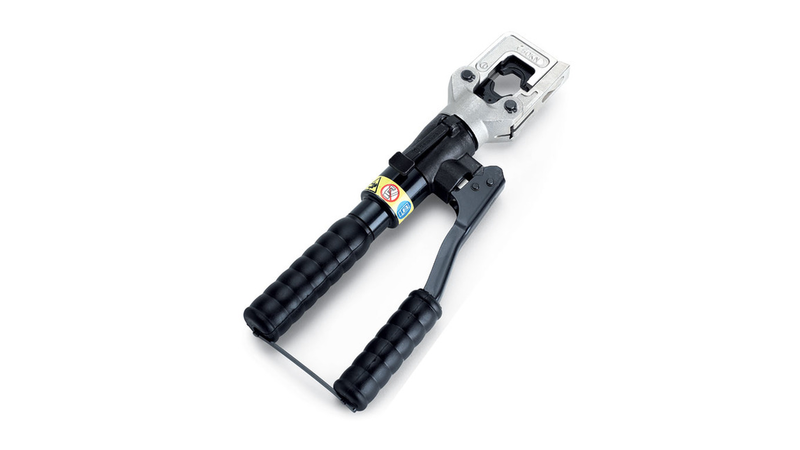 This two speed lightweight and compact, hydraulic tool is ideal for working in confined spaces. Having the benefit of spring loaded handles, the dies can be advanced using only one hand; therefore leaving the other hand free to position the connector. For ease of operation and comfort of the operator, the tool head can be fully rotated through 180 degrees. The built-in safety valve will by-pass the oil supply when the maximum pressure is reached, and a pressure release system can easily be operated at any stage of the compression.